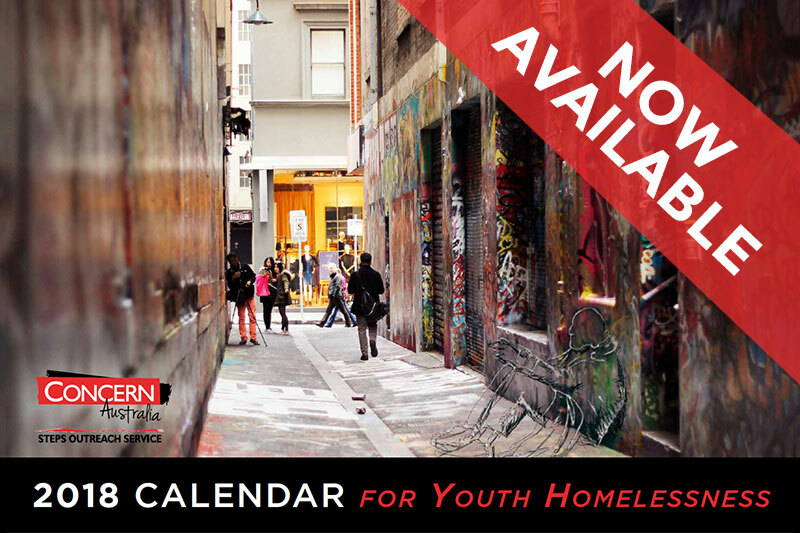 Get your copy of the 2018 Calendar full of inspiring images from this year’s Homelessness Photography Competition and Exhibition. Also available is ‘Under the Bridge’ a book of poetry by homeless people matched with beautiful photography by Melbourne students. To purchase single copies of the calendar and the book of poetry or both items, use the form below, shipping of $5 will be added to your order. For multiple copies call the office (03) 94702972 or email anne.mitchell@concernaustralia.org.au. Your completed purchase will be delivered by Australia Post. All proceeds go to continuing the work of Steps Outreach Service.